In re-watching the last three seasons of Mad Men, we noticed that liberal arts schools - including Vassar - are often popping up in characters' lives. The show's creator, Matt Weiner is a Wesleyan alumnus, which probably influenced this trend. (Wesleyan, which was all-male at the time in which the show is set, has yet to be mentioned.) In honor of the show's grand return last night (as well as the lack of important Vassar news in the middle of the summer), we’ve put together this analysis of which characters are associated with what liberal arts schools and what those associations say about the characters. Don Draper clearly has a thing for liberal arts women (or just all women). Suzanne Farrell, one of Don's love interests in season three (and Sally's teacher) is briefly shown jogging in a Bowdoin tee shirt. It's never confirmed whether she went there or not, but the shirt makes her youthful - as does her dancing around the May pole in an earlier episode - which attracts Don. Joy, the myserious nomadic teenager who captures Don's interest in California in season two went to Pembroke before dropping out. Her interest in Faulkner impresses Don, although not enough to make him stay after a two night fling. Don's wife is a former liberal arts girl too. Betty Draper attended Bryn Mawr, one of Vassar’s fellow Seven Sister schools. Betty's association with the school emphasizes her WASPy upbringing, completely different from Don's clandestine past. Another alumna of the Seven Sisters is Helen Bishop of Mount Holyoke. Helen is Betty's rival in seasons one and two (remember when Betty slaps her in the supermarket? ), which is not unlike the rivalry between the two schools. References are thrown in even for minor characters. In season two, it is briefly mentioned that the daughter of Jimmy and Bobbie Barret attends Sarah Lawrence. 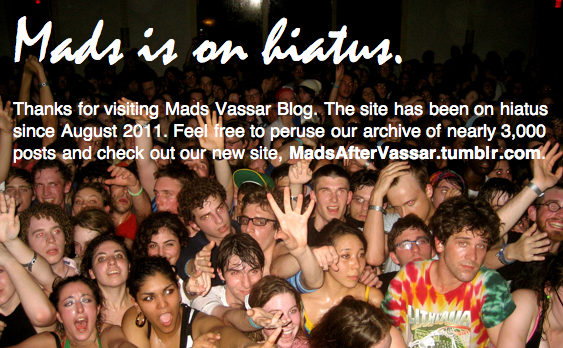 As for Vassar, unfortunately we've gotten only a vague reference. 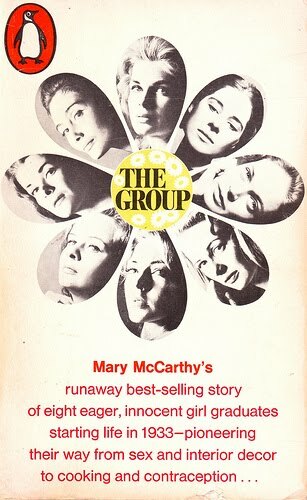 As we posted last October, in season three Betty Draper reads The Group, Mary McCarthy's famous book about a group of Vassar alumnae living in New York City in the 1960s. The book includes issues such as feminism and suicide, which portrays the personal crisis that Betty is dealing at this point in the season. According to the offical Mad Men blog, the book was so controversial when it was published in 1963 that Vassar threatened to revoke McCarthy's degree. 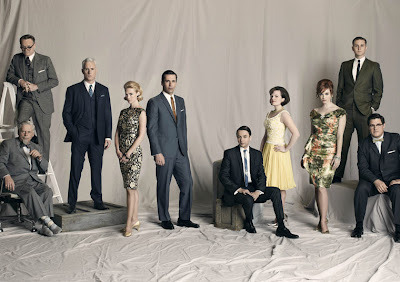 While the female characters come from liberal arts backgrounds, the Mad Men come from the Ivys. Pete Campbell went to Dartmouth and Ken Cosgrove went to Columbia. In season three the two men compete for the position of Head of Accounts, which mirrors the rivalry between the schools. Edit: We seem to have missed a few. One savvy commenter reminds us that Don's date in the new season is also a Mount Holyoke girl. Another commenter remembered that Rachel Menkin, the department store heiress and Don's love interest in season one, went to Barnard. Finally, another minor character - horseback rider Arthur Case's fiancee Tara in season two - went to Wellesley. Also, according to a friend, Bryn Mawr had a rep for turning out girls who didn't just want to get married/be housewives - and thus it's a weird choice (perhaps a very deliberate one, though?) for Betty. Come to Vassar and nonconform with me! Also, when I attended Vassar, one of my friends was Pete Campbell. Coincidence that one of the Mad Men shares the same name?! 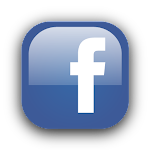 ll UTILIZE you financiGlad you shared your experience. I considered and felt confident in choosing better servicesI really wish to thank you for sharing it to us.Many academic writing resources to provide reliable writing assistance for academic assignment.